You will find a free sample to download and try for yourself on most of the design pages including one on this page here. 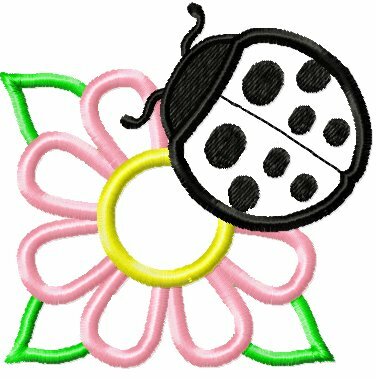 There are hundreds more free machine embroidery designs and free projects available for the members of our Yahoo Group. By joining this group you will receive updates by email. You will also have access to the free designs and free projects that we share with our members each week. It is not a conversational group, so the only mail you will receive will be updates and gifts. Note: This design is a combination of 2 free designs offered on the group and 1 from the website done for a community project on the forum. It's a perfect example of what fun results can be achieve with a little bit of editing.